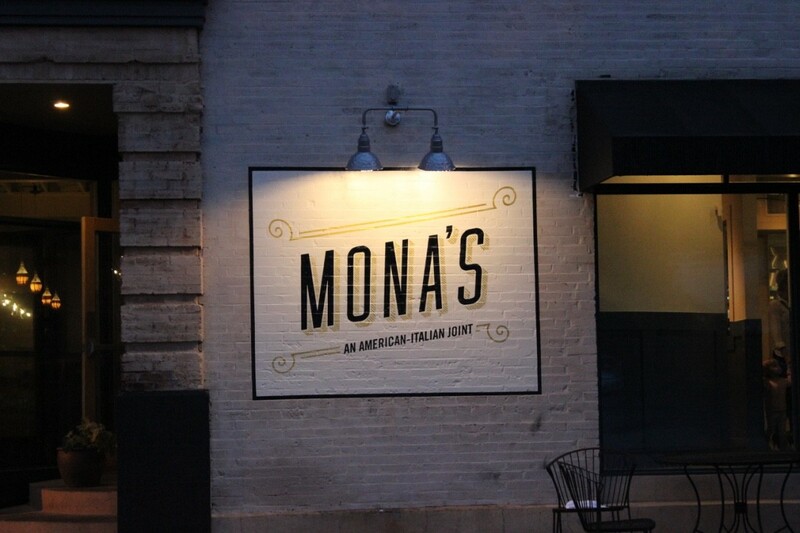 Mona's is located on Shaw Avenue in the Hill. A new Italian — or rather, American-Italian — joint opened Wednesday on the Hill, in the location that housed Modesto for fifteen years. 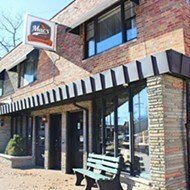 Its replacement, Mona’s (5257 Shaw Avenue, 314-772-8272), serves up salads, pizzas and pastas, with a kids’ menu and gluten-free options for pizza and pasta. The contrast between Modesto and Mona’s is marked — where you could previously sample tapas in a dark, romantic atmosphere, you can now enjoy a spin on Italian food in a bright, friendly space. 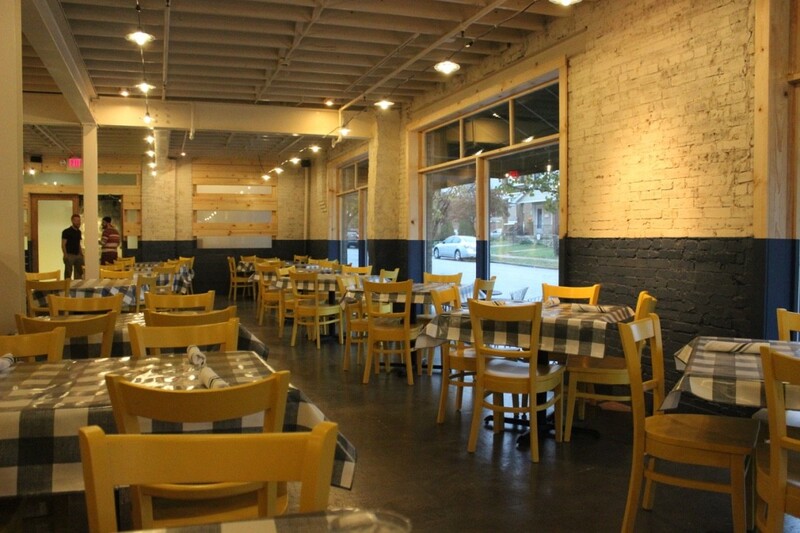 The brick has been whitewashed, and blue-and-white checkered tablecloths adorn the tables, while yellow wooden chairs add some whimsy. 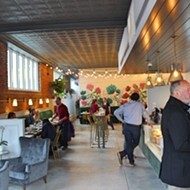 The contrast between Mona’s and many of the other Italian restaurants on the Hill is noticeable, too; the antipasto salad is made with kale instead of iceberg or romaine, and provel appears nowhere on the menu. 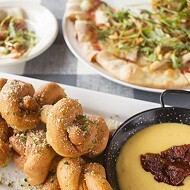 They’re putting a fresh, modern spin on the classic Italian pizzas and pasta. 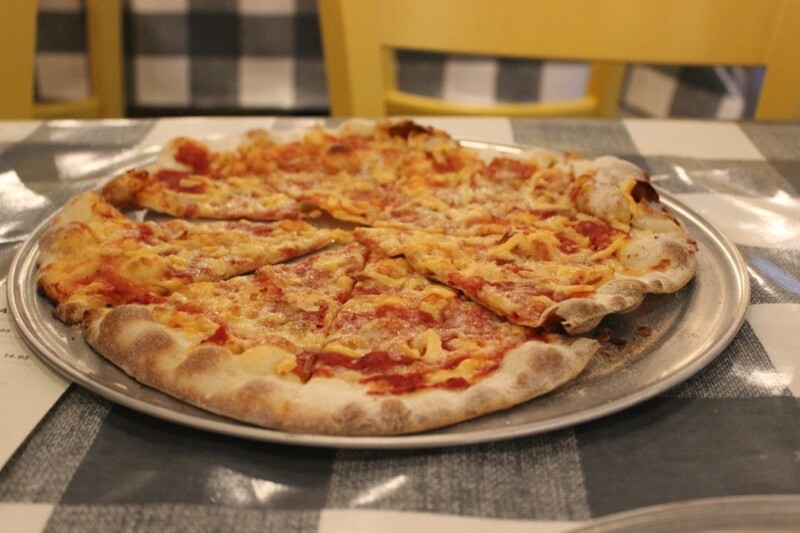 Pizzas range from $12-$14 per pie, and pastas are in the $14 range as well. 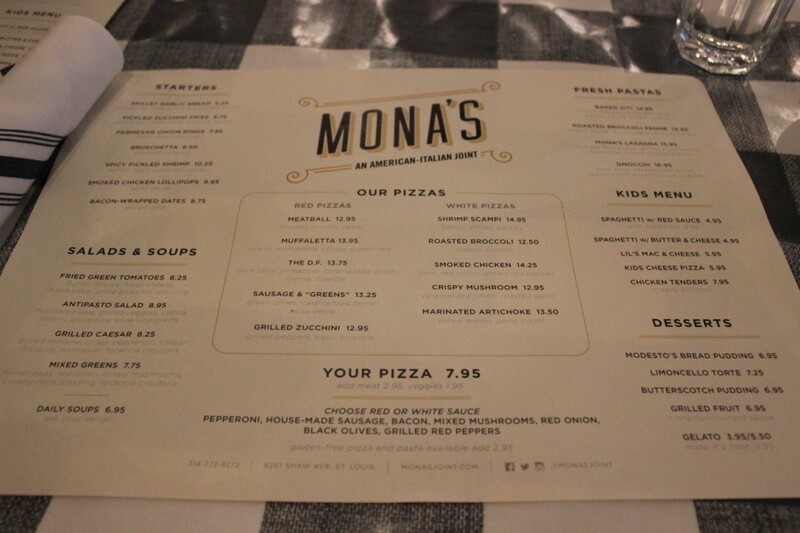 We had the honor of tasting the very first pizzas served here, and while they’re still working out some minor kinks (including figuring out where the to-go boxes are located), it looks like Mona’s is off to a promising start. More photos are below. 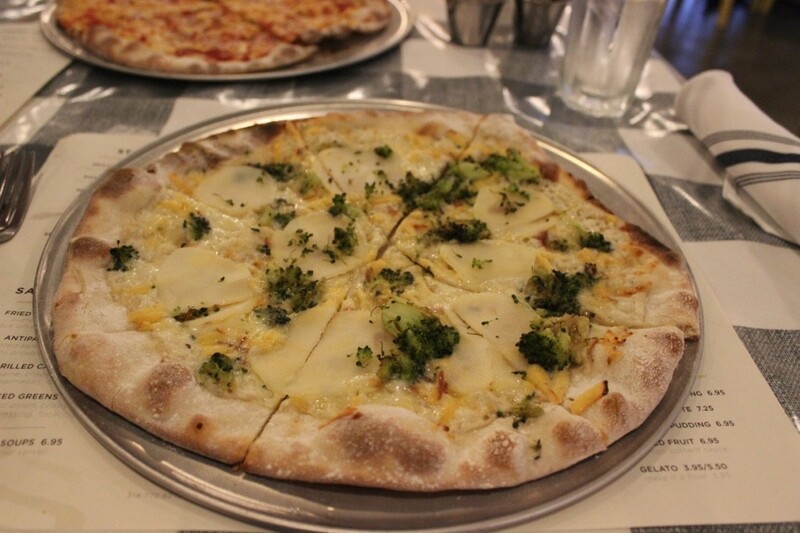 The roasted broccoli and potato pizza. Mona's interior is bright and cheery. 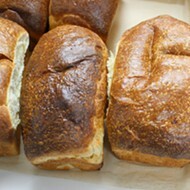 The menu includes appetizers, salads, pizzas, pastas and desserts.